The pressure continues to mount for Bai Hao Yu. He’s found getting nosebleeds and falling asleep at work. Lin Yi Mu’s back at least, though. He returns with a whole new, cooperative attitude. Lin Yi Mu does this because of Li Hui Zhen’s earlier words to him, but also he’s not yet admitting defeat when it comes to which way Li Hui Zhen’s heart will go. 50-50 chance Lin Yi Mu thinks he has. If only this drama was about him and Li Hui Zhen. Sadly, it’s not. Xia Qiao’s gone and given her assurance that she’s okay and to go to Bai Hao Yu, which, if the last scene where Li Hui Zhen responds quite emotionally to some sketches she found he’d done of her is any indication, it looks like Li Hui Zhen might finally do that. Lin Yi Mu’s decided to stay at Immortal. 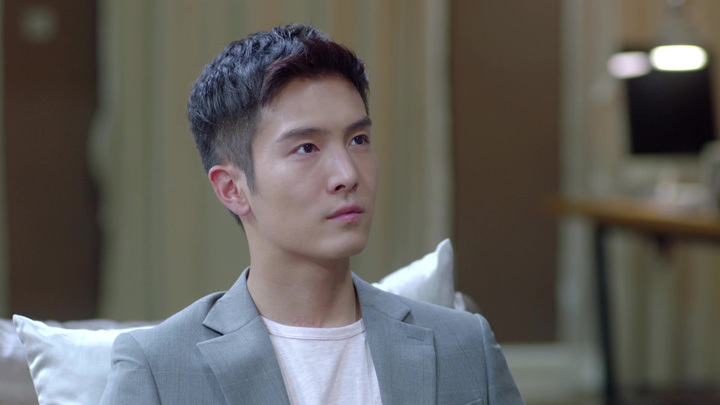 To let Bai Hao Yu know he’s returning, he surprises Bai Hao Yu by waiting inside his apartment. (Lin Yi Mu’s still got Bai Hao Yu’s access card and let himself in.) He comes with a few ideas to go up against New Look’s Lai Mu sisters interview, too. Some ideas Bai Hao Yu thinks can’t be done since New Look was in the midst of doing them. Some ideas he thinks could be worked on together with Zhu Ying or Lin Hao. Seeing Lin Yi Mu in front of him offering all these ideas, it has Bai Hao Yu ask why he’s decided to stay in the end. 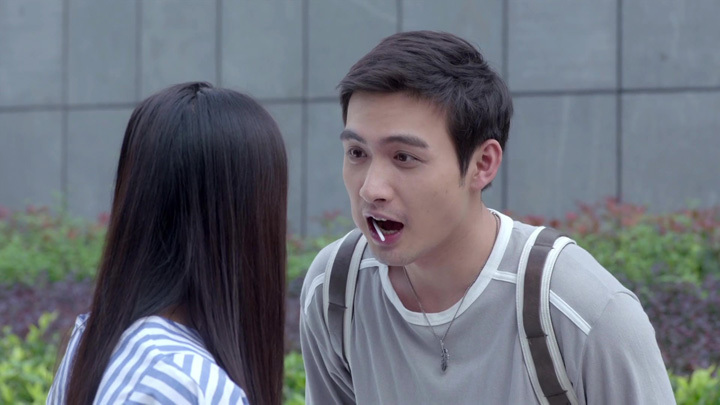 Lin Yi Mu looked like he counted himself out of the race, but until they know what the end result is, he still has a 50-50 chance with Li Hui Zhen, so he must go all in and see it through. He gives her a wink before leaving her wondering what his reason was for not showing up to work. Lin Yi Mu’s return to the Editorial Department is greeted with cheerful smiles before they each hand him a few folders of work from their own pile. It gets Lin Hao a hard slap across the back and calls of being bullied for everyone else, but Lin Yi Mu seem happy to get right back to work. Zhu Ying’s in the midst of calling one of Bai Hao Yu’s suggestions for Immortal’s next featured guest, Taylor Yang. Taylor Yang is apparently a singer who can rival New Look’s upcoming featured guests, Lai Mu Sisters. It has many on the team surprised and excited, but with every media outlet out to get news of the love life she recently announced, they’re not too confident the magazine could land such a great guest. There’s also the sky-high price they’ll have to pay to get the interview and the relationship souring. If Taylor Yang’s new love life sours, it could backfire on them. Zhu Ying argues that although the investment is risky, it is still an opportunity. Lin Hao weighs in next with the fact that they’re only going after Taylor Yang for the high public interest in her love life. It’s not for her first-class singing talent or fashion. This is not a method Lin Hao is keen on using in order to beat New Look, because using this kind of method is New Look’s style not Immortal’s. Lin Yi Mu, who really seems to have come back and changed from going up against Bai Hao Yu to supporting him, explains that despite it being the case, it’s not the first time they’ve interviewed someone whilst in the middle of a scandal. He implies that they have their own style which they can employ to appeal to their audience without appearing like a gossip magazine. Lin Hu Sheng’s input about the magazine’s doom if they fail to get Taylor Yang and Meili’s remark about inviting Taylor Yang being harder than inviting the Lai Mu Sisters starts up a short period of Bai Hao Yu and Lin Yi Mu completing each other’s sentences. Bai Hao Yu remarks that it is because Taylor Yang is difficult to secure she of value. If she was able to be interviewed by anyone… (this is where Lin Yi Mu completes Bai Hao Yu’s sentence) then it wouldn’t carry the meaning of it being an exclusive interview. Bai Hao Yu continues again, saying that because there is such a high degree of interest in her that if they can be the first to interview her, then… (Lin Yi Mu completes Bai Hao Yu’s sentence here) we’d be able to take hold of the Number 1 crown. Lin Yi Mu moves to encourage the team to put everything they have into getting Taylor Yang. 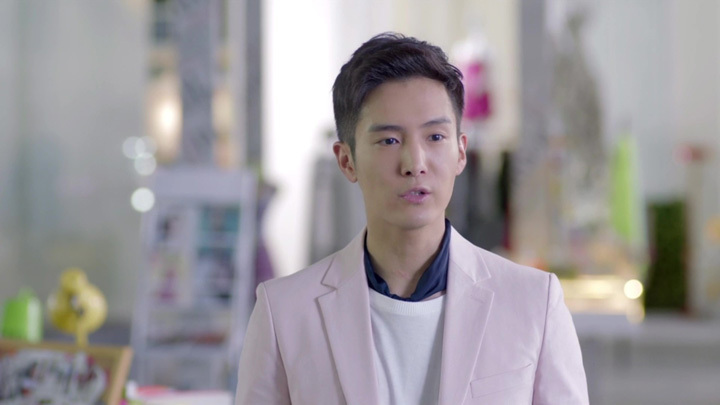 He tells them they needn’t worry about whether they’d be able to get the guest in (because that’s Zhu Ying and Bai Hao Yu’s job to make that work) nor how they come off when they get Taylor Yang (because that’s his and Lin Hao‘s job). Everyone on board, Bai Hao Yu has everyone get cracking on the plan. As he speaks, blood starts trickling down his nose. Li Hui Zhen was about to go to him, but Lin Hao and Lin Hu Sheng makes it to his side before she does and starts fussing over him. Lin Hao has Bai Hao Yu to tilt his head up whilst Lin Hu Sheng has Bai Hao Yu bow his head. 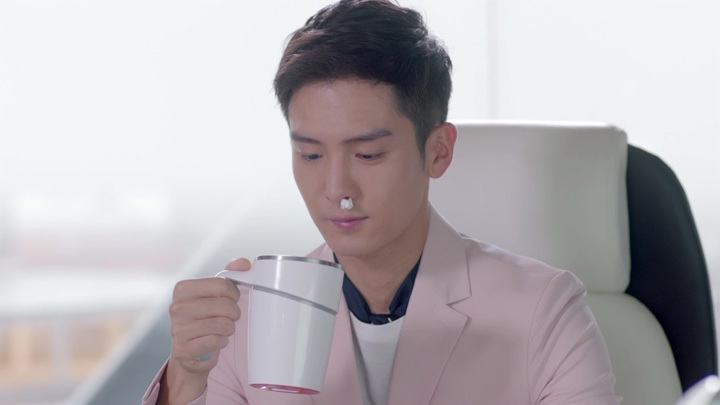 Seeing Bai Hao Yu’s nose bleed has Li Hui Zhen worried, but with Li Hui Zhen wanting to wait till Xia Qiao gets used to the situation regarding Bai Hao Yu, she only worries about him from afar. The whole time she’s at her desk she is filled with so much concern her screen is filled with gibberish as her fingers type up random letters whilst her gaze is directed towards Bai Hao Yu’s office. She can’t go to him and openly show concern. So, she sends him a cup of honeysuckle tea to treat his nosebleed, and finds out how he’s doing whilst in his office to hand him a file. Later in the day, Li Hui Zhen tries to give Bai Hao Yu some peace and quiet after noticing he’s gotten so tired he’s fallen asleep at his desk. The rest of the team doesn’t notice, and goes about discussing colour themes for their spreads in their usual way. Li Hui Zhen tries to quieten them down, but fails as they ignore her suggestion to talk quieter. So, she encourages them to head out to lunch by offering to shout them all. That has them leaving the office. 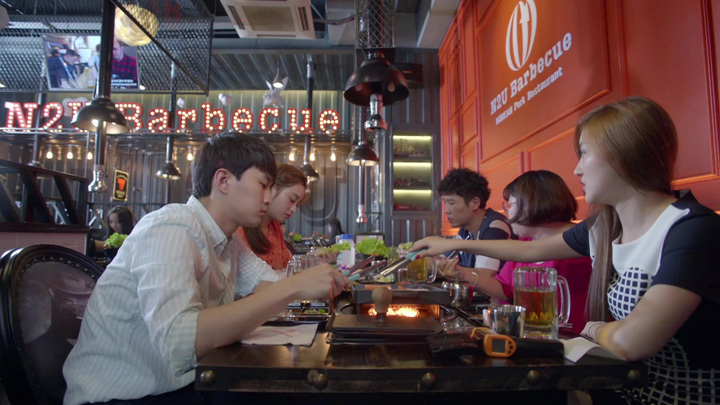 Eating lunch at a barbecue restaurant, the team sit down to catch up on Ya Ling’s progress in her job hunt. It’s not going too well. Finding a job while Immortal is still operating turns out to be not any easier than looking after it ceases to operate. Rumours of Immortal being sold have been going around apparently. Lulu (an Immortal team member) suspects hiring managers are questioning her loyalty to Immortal. It doesn’t look good leaving a company amidst its troubles. Back over on Li Hui Zhen’s side, Lin Yi Mu drags her out to a café where they’re mistaken by the café staff as being a couple. Li Hui Zhen corrects the café staff and tells her she’s not his girlfriend. Lin Yi Mu corrects the café staff, too, saying she’s got it wrong: she’s not his girlfriend but his wife. That gets Lin Yi Mu a glare from Li Hui Zhen. Lin Yi Mu glares right back. It’s hard to tell what he might be saying to her through the glare, but it has Li Hui Zhen let it slide. His suggestion for her to go choose a cake next feels like he’s making some kind of reference to her and Bai Hao Yu being together, which might have allowed Lin Yi Mu to carry on this husband-wife act without much noise from Li Hui Zhen. She also knows how much he likes joking around and there’s also Lin Yi Mu’s first day back after having left because of her rejection. Li Hui Zhen returns home later in the evening to be greeted by her little sister and Xia Qiao. 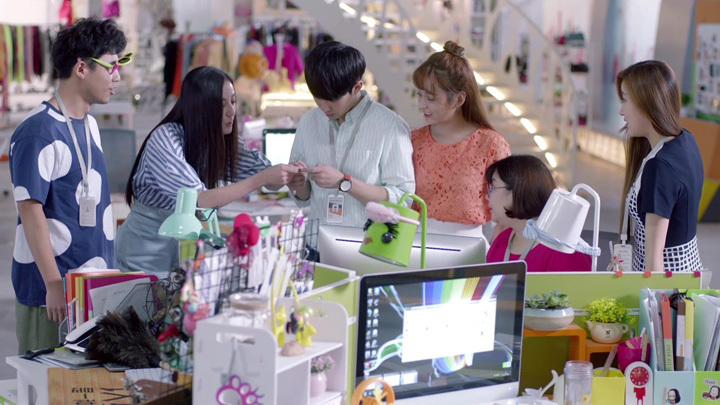 While Xia Qiao’s still free from not having gotten a job yet, Li Hui Lin thought to take advantage of it and see her. 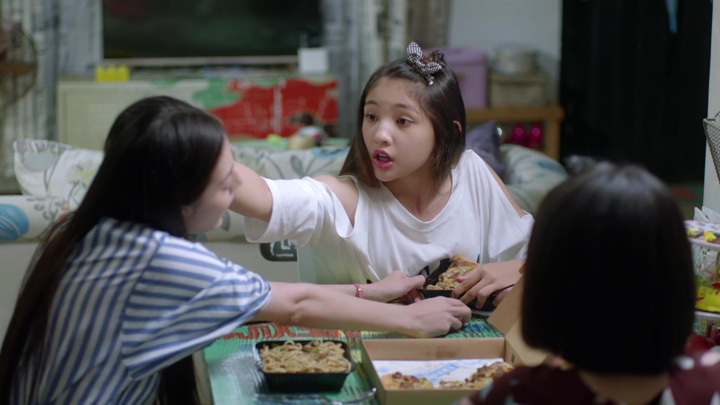 The visit sees Li Hui Lin and Li Hui Zhen end up in a hair-pulling, cheek-pinching fight because Li Hui Lin wouldn’t stop talking about Bai Hao Yu. Li Hui Lin can’t understand how Li Hui Zhen would consider rejecting someone as handsome, as tall and as successful as Bai Hao Yu. He doesn’t look down on her, either. She, of course, doesn’t know the answer to all of that is because of Xia Qiao, the very person she is saying all of this to. Xia Qiao’s still showing some sadness (even Li Hui Lin noticed it when she met up with Xia Qiao outside the apartment). 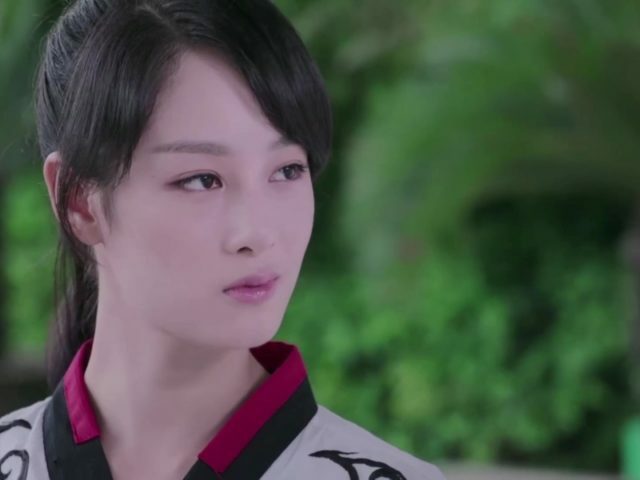 However, Li Hui Zhen’s obvious attempt to stop Li Hui Lin on her account actually makes her smile, suggesting that Xia Qiao’s not in as bad of a state as Li Hui Zhen thinks. Later in the night, Xia Qiao tells Li Hui Zhen to go to Bai Hao Yu. Xia Qiao tells her that she knows Li Hui Zhen misses Bai Hao Yu a lot and to not worry so much about her because she’s fine. Even if that isn’t 100% true (if we were to go buy the sadness that Li Hui Lin saw), seeing Li Hui Zhen happy is what will truly make her happy in the end. She had offered to leave Li Hui Zhen and join her mother in France if that’s what would make Li Hui Zhen take a step towards Bai Hao Yu, too, to show Li Hui Zhen how serious she was. 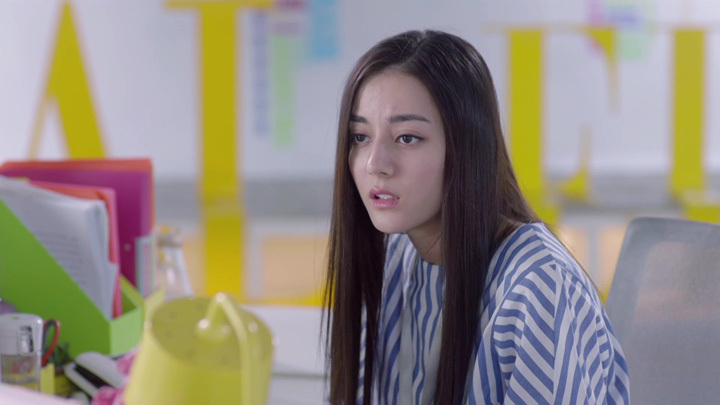 Xia Qiao believes that as long as she is with Li Hui Zhen, Li Hui Zhen would continue to hesitate out of worry for Xia Qiao’s feelings. Xia Qiao’s words has Li Hui Zhen pondering what she should do. Xia Qiao’s on one end of her concerns; Bai Hao Yu is on the other. In the end, she seems to have decided that she was going to trust Xia Qiao’s words about being fine and go to Bai Hao Yu. The morning sees Li Hui Zhen appearing like she’s wanting to speak to Bai Hao Yu. Her gaze wonders to his office then snaps towards the sliding door when she makes her way into Immortal. Bai Hao Yu is uncharacteristically late. Normally she’d already be greeting him at the building entrance and they’d go up the elevator together to head in to the office together. Bai Hao Yu is nowhere to be seen, though. The reason, his day is fully booked with meetings which take place outside the office. Even before she arrived into the office, Bai Hao Yu was already going to a meeting. With the out-of-office meetings continuing throughout the working day, Li Hui Zhen finds herself taking every opportunity she gets to try catch him between meetings. Hearing that he’s finished his first meeting had finished and was on his way to the next has her sneak out to try flag him down before leaving the building with a colleague. He doesn’t hear her call unfortunately. A mention that Bai Hao Yu was in a meeting at the café Lin Hu Sheng had gotten the coffee from has Li Hui Zhen put up her hand to help Lin Hu Sheng return a coffee Lulu didn’t want because it had sugar. Li Hui Zhen is still listening in on conversations mentioning Bai Hao Yu following her trip to the cafè, suggesting she didn’t end up catching him. The end of the workday arrives, Li Hui Zhen still hasn’t managed to see Bai Hao Yu. According to a phone conversation between Bai Hao Yu and Zhu Ying earlier in the day, a business trip will be keeping him back until after 6:30pm. Despite his late return, it looks like Li Hui Zhen might be heading off to see him anyway. 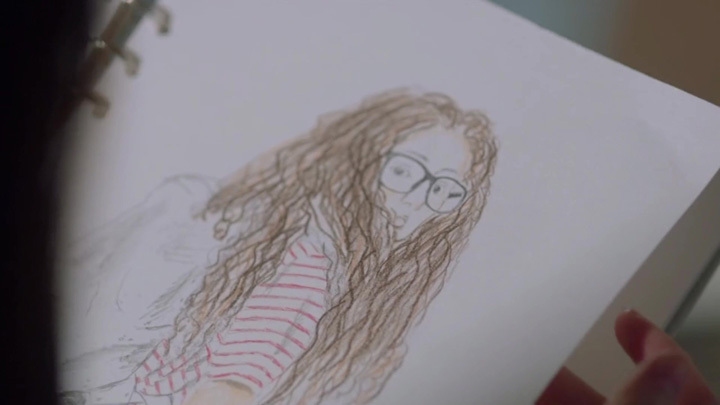 The last scene of the episode sees Li Hui Zhen stumbling across some of the sketches Bai Hao Yu did during their business trip together (Episode 18). When they left town to capture whatever caught their eye for their photo shoot, Li Hui Zhen looks to have caught Bai Hao Yu’s eye. He had drawn a number of sketches of her throughout that trip: her walking with her backpack on, her staring up into the sky and her eating ice cream. He had drawn one more which might have been drawn after the trip: this sketch was of a photo they took together just before they returned. Tears well up in Li Hui Zhen’s eyes as she flips through the sketches of her. She seems conflicted. A brief moment pass before Li Hui Zhen walks out of his office with his sketch book in her hand. And this is where Episode 33 ends. Some of our favourite developments were in this one: the part where Lin Yi Mu and Bai Hao Yu are thinking alike, and seeing the time Bai Hao Yu found himself captivated by Li Hui Zhen. As isolated scenes, we think they’re pretty cool. We like that Lin Yi Mu puts his feelings aside and personally goes to Bai Hao Yu’s apartment to give him the news he’s returning to Immortal. We think Bai Hao Yu’s sketches show an even deeper attraction to Li Hui Zhen than the original. But, fit these scenes back into the drama, they don’t have quite the same impact as the original. The Bai Hao Yu and Li Hui Zhen pairing still doesn’t connect with us. 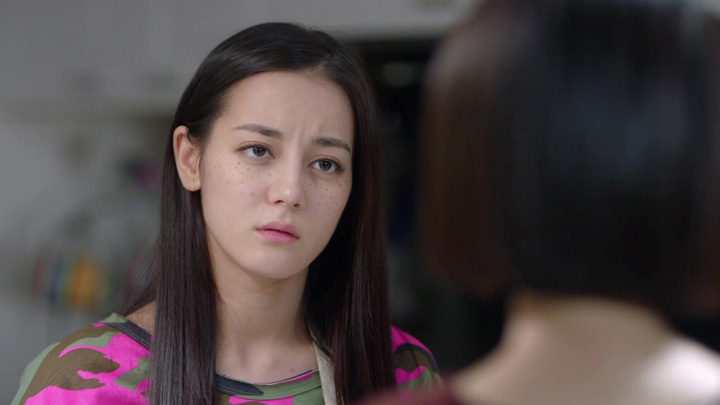 The part where Lin Yi Mu complete Bai Hao Yu’s sentences came off so unnatural, unlike in She Was Pretty. We’re not sure why, though. Maybe it was the dialogue, the contrast between Bai Hao Yu’s colourless intonation and Lin Yi Mu’s more expressive speech, of how there just isn’t the same kind of closeness between Bai Hao Yu and Lin Yi Mu as Ji Sung Joon and Kim Shin Hyuk. We shall see what the next episode brings. We’ll continue holding onto the hope that in the last section of the drama, it builds some kind of chemistry between the lead couple. If there was a place this remake can put their own flavour in and improve on the original, it could possibly be here. Before we end the recap, we’ll add just a bit about the Lin Hu Sheng and Han Xue developments. 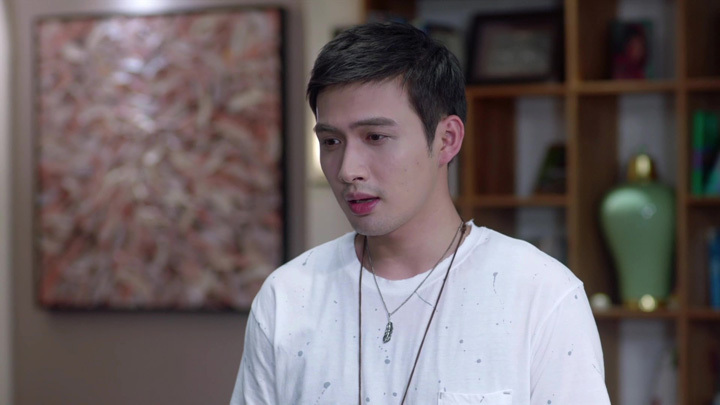 Lin Hu Sheng has asked Han Xue to join him in meeting his friends in this episode. These friends are the ones he studied with in the United States. Friends from the States equals well-off people, which fits right into the image of an heir or does it? Can’t wait for more developments in this arc!